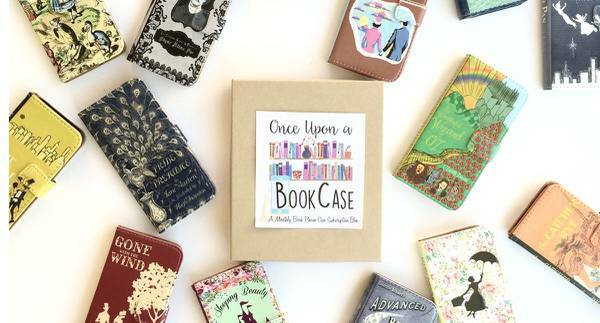 Enter your email address below to receive a notification when Once Upon a BookCase starts accepting new sign-ups! 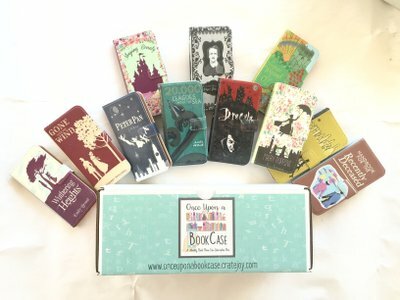 Enter your email address below to receive a notification when Once Upon a BookCase is accepting new sign-ups again. Your box will ship on the 7th of every month. Please order by the 3rd to get the current box! Now you can bring a book with you everywhere you go! 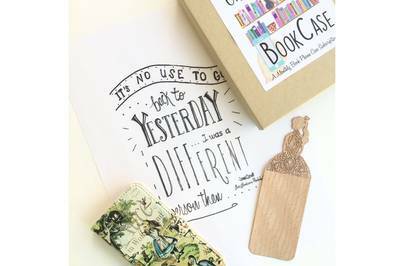 Our monthly subscription sends you phone cases designed to look like book covers, so that you can bring your favorite literature with you wherever you go! Tell us your phone size and style! Don't worry, we have you "Covered". Got my first box today. The phone case looks really cute and of good quality. The additional items are also extremely adorable! Especially the gloves <3 Nice, fluffy, warm and they also work on touchscreens! Even more win! I want to subscribe to the Manly Man subscription. First I will say this is my first box since signing up. I was hoping for a holiday book themed box, but this is cute. I never watched Gilmore Girls, so I had to look up some of the references. The phone case: It seems to be well made. It seems to be all leather, with firm stitching, no fraying edges, and a well clasping magnet, that takes a little effort to open, so it won't open on it's own in my purse. The phone sits tight in the holder. I have no fears it's going to fall out. Coffee sleeve: I don't drink coffee, so I won't use this, but it appears to be sewn together nicely, and seems like it would serve its purpose of not letting your fingers get burned while keeping your coffee warm. Card: Blank inside card could be cute to send to someone who knows about the show. I don't know anyone who watched the show so the card is irrelevant for me. Canvas tote bag: Cute bag to carry light items. I will use mine to carry beach shoes and sunscreen. Appears to be well made with a sturdy handle and no fraying edges.